Little known by the general public and long considered by fans of Aston Martin as not being a “real” Aston, the DBS has recently seen an increase in its popularity, particularly its 6 cylinder Vantage version. This comfortable, spacious four-seater GT was the final car to be produced during the David Brown era. And being hand-built, it is just as much a “real” Aston Martin as its illustrious predecessors. Although it was initially designed to be equipped with a V8 engine, development production delays led to the all-new DBS being launched with the DB6’s 3995 cc straight 6 cylinder engine designed by Tadek Marek. The result was that for years the DBS was neglected by purists. But its noble origins, aristocratic pedigree, unpretentious styling and husky exhaust note make it just as worthy a gentleman’s GT as any other David Brown-era Aston Martin. Legend has it that the name DBS was the idea of Annie Soisbault de Montaigu, owner of the Garage Mirabeau in Paris which at the time was the official importer of Astons into France. It was she who suggested that David Brown honour his wife Susan by adding her initial to his own. This may or may not be true, but it makes for a great story ! 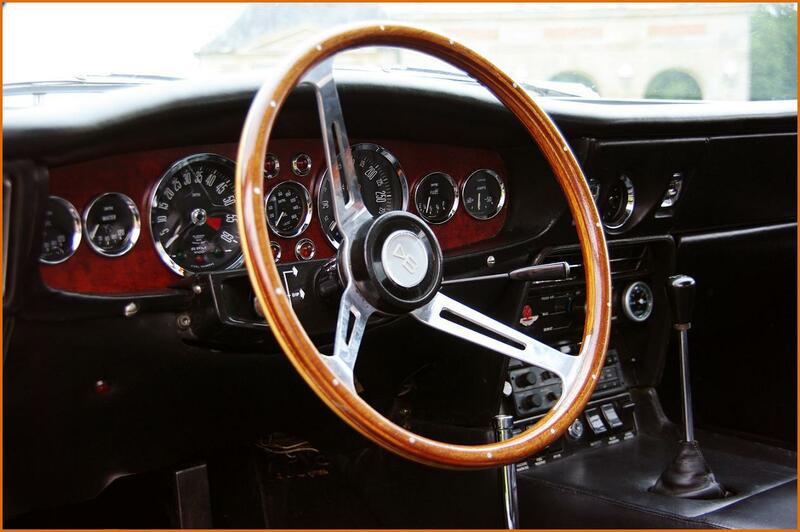 So whether you are already familiar with this wonderful GT, or are discovering it for the first time, I hope you will enjoy reading about the fascinating history of one of the most British of all sports cars, the Aston Martin DBS.